This year hundreds of World Climate Simulation events took place around the world, which enabled the UN climate negotiation role playing exercise to reach thousands more people. Facilitators organized simulation events in new countries including: Algeria, Bangladesh, Cambodia, Hungary, Liberia, Pakistan, Philippines, Saudi Arabia, and Somalia. 218 events took place in 2017 alone! Have you run the World Climate Simulation this year? Register your event! Volunteers: Our World Climate ambassador program has expanded to include four new World Climate Ambassadors who are helping to train others in running World Climate and reach new audiences. This year we also welcomed many new first-time facilitators. Tools: We released a new version of the C-ROADS World Climate Simulator online and for download with French, Spanish, Turkish, Japanese, and German language support. South Korea: World Climate Ambassador Chang Kwon (Benjamin) Chung and his team organized more than 60 World Climate events for almost 1,500 students across South Korea in collaboration with the Seoul Metropolitan Government, Seoul Metropolitan Office of Education, and the Korean Foundation for the Advancement of Science & Creativity (KOFAC). COPinMyCity: The youth organization CliMates has entered its fourth year of the successful COPinMyCity initiative which has supported hundreds of youth in leading the World Climate Simulation in their cities and taking action on climate change. 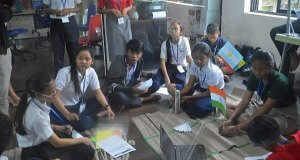 Cambodia: Karen Kreiger facilitated a World Climate Simulation for forty three 12-15 year-olds from six schools that gathered for their first ever student-run Climate Summit. The event was such a success that they organized a second summit for students unable to attend the initial event. France: French World Climate Ambassadors Laurent Richard (Albedo) and Josephine Raynauld (Climates) have been co-facilitating monthly webinars and enabling us to offer World Climate Webinars in French. 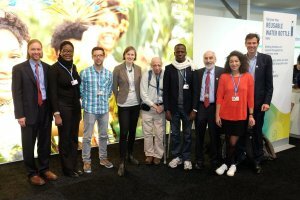 Pakistan: Omer Akif, a university student, mobilized support from the Pakistan government to organize a two-day World Climate/World Energy simulation event in Islamabad out of which the two best negotiators were sponsored to attend COP 23 in Bonn, Germany! United States: Professor Juliette Rooney Varga of the UMass Lowell Climate Change Initiative has continued to expand research efforts into the learning outcomes of World Climate and has been running trainings for teachers across the US. 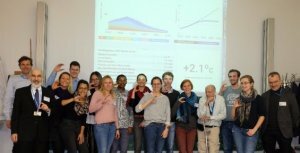 Germany: Professor Florian Kapmeier has worked with the Ministry of Education of the State of Baden-Württemberg, to adopt World Climate as one of the tools to teach climate change to high schools, an initiative that has been widely praised by various climate and education stakeholders. Argentina: Eduardo Fracassi has had guest Skype appreances from Ambassadors Diana Pritchard (UK) and Steve Kaagan (US) for debrief sessions during World Climate and World Energy events with students. Why Run the World Climate Simulation from Climate Interactive on Vimeo. Join a webinar to learn how to facilitate World Climate. Connect with others running World Climate in the Facebook group. Register your World Climate event. Let us know if you want to connect with facilitators and events in your region. Follow us on Twitter @WorldClimate. 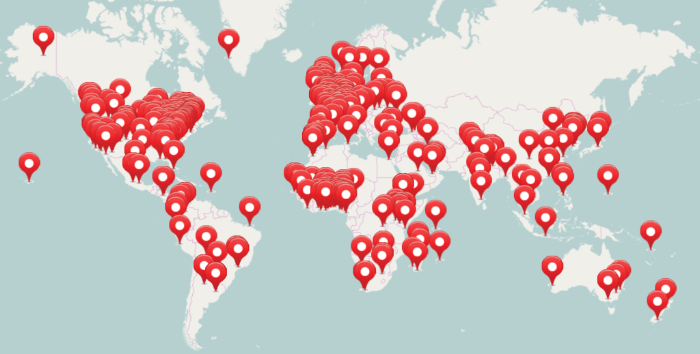 Thanks to everyone that is using the tools and helping to build climate change awareness! !